When it comes to off-roading, it’s funny how a trail rated as “easy” changes the expectation, or caution that a lot of people have when preparing to running it. Unfortunately, even though a trail may be rated as “easy”, that doesn’t mean that it doesn’t have its dangers. So, no matter if you are running an “easy” or an “extreme” trail, here are 5 things that you don’t want to do. Maybe you just watched the King Of The Hammers, and now you’re stoked to get out on the trails and see how fast you can complete the local 4×4 circuit, and see if your rig will climb that rock section in all the tire smoking glory that you saw at the KOH event. Well, if that’s what you’re thinking… DON’T! No matter how capable your 4×4 is, there are always blind corners and unforeseen conditions on the trail that can cause you a serious accident. Not to mention, you’re probably not the only one on the trails. 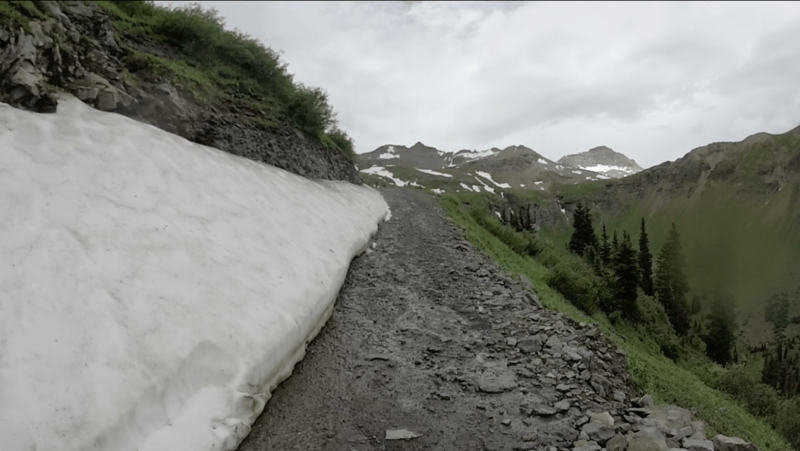 I can’t count how many times someone has come racing around a curve on the trails out here in Ouray, Co. and come to a sliding stop as I came around the curve in the opposite direction when they weren’t expecting me. A bad decision… I started running the shelf edge after heavy rains and melting snow, trying to get past the snow drift and reach Govenors basin. Using good judgment is key. Just because the shelf edge look solid, doesn’t mean that it is. If I said that I had never driven on the edge of the shelf road to get around an obstacle or another vehicle, then I would be lying. However, it’s really not a good practice to make a habit of. You never want to just come up on an obstacle and go around running the shelf edge without out first inspecting the condition of the road, and terrain near the edge. In July 2017 the Ouray/Silverton, Co. area, saw heavy monsoon rains every afternoon and evening. On one group run, a 4×4 got too close to the shelf edge, which gave way, and the truck slid completely off the trail. There was a 3” diameter aspen that was there to catch the rig. Beyond the aspen was a cliff. It took 3 winches and 6 off-road vehicles to get the rig back on the trail. 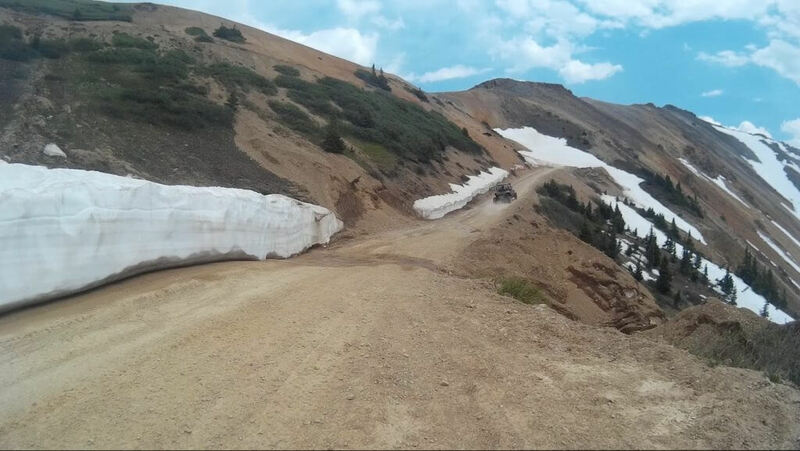 Thankfully, everyone was safe and the 4×4 was ok.
Later that same summer, in Gunnison, Co., (while on a group run) it was determined that a portion of a shelf road gave way. Sending a well built and capable rig rolling down the steep incline. Unfortunately, one of the people in the 4×4 lost their life. I could go on recounting other accidents, but I think you get the picture. These examples just go to show, you never know when a shelf edge may give way. So, use extreme caution when going around obstacles while running along the trail edge. My friend Brian Jensen (photographer too) pulls my winch line to one of the winching points on the steep long slab side of “The Wall” on Poughkeepsie Gulch after a few attempts with only 32″ tires and open diffs. We knew winching was inevitable. 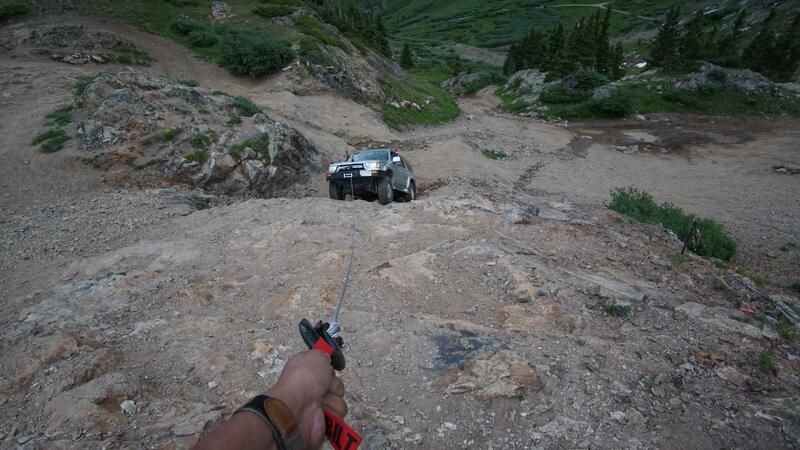 It was fun to try though, and I was able to test my new winch. This may seem like a common sense point. Yet, you’d be surprised to know how many times I’ve run across someone on the trails (easy and difficult rated) that said they didn’t carry any rescue equipment with them because they hadn’t used it in so long. Rescue equipment isn’t something you carry with you for planned situations. You should have it for those moments that you didn’t plan for. Even if you expect to find someone else on the trail while you are out, who’s to say that the other driver will have his or her rescue gear with them… So, make sure you have your rescue gear at all times. Remember, rescue equipment isn’t just for recovering/rescuing your own rig. It can help save other people’s rigs, and clear obstacles from the trails your exploring. Stopped in the middle of the trail to show you what you should never do. Call it creative lincense, and Editorial exemption. Still, don’t make a habit of it. 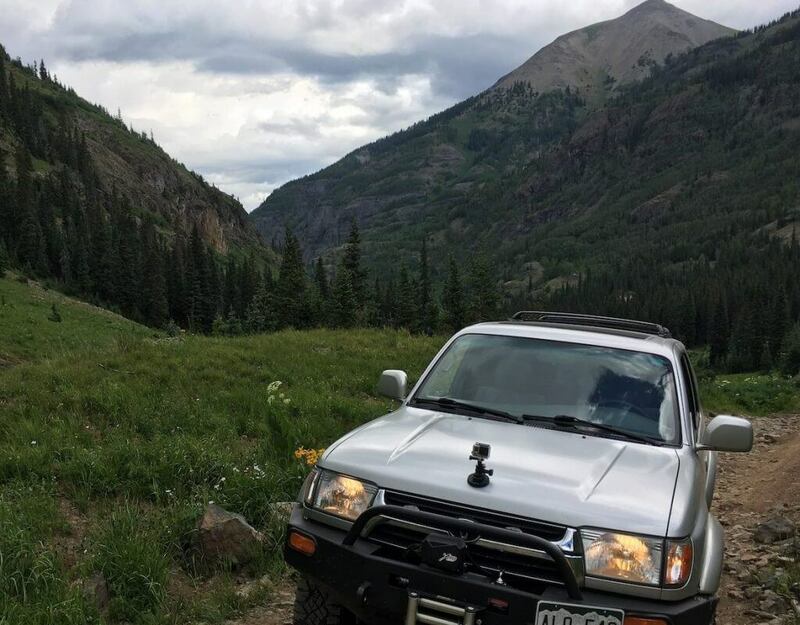 Even if you see one of your favorite Youtuber’s, Off-road Companies, or best friends coming down the trail in the opposite direction, don’t stop in the middle of the trail. Most trails have pull-offs. Be safe and find a place where you both can pull off and chat without blocking the trail causing a trail hazard for other trail users. I often see people out on the trail without a spare mounted, or without a tire that could reasonably be used as a spare. For instance, if you’re running 40”+ tires then that factory donut tire probably won’t do the job to get you off the trail. You’re spare doesn’t have to be an expensive, matching, off-road tire. It should be capable of resisting the harshness of the terrain you’re running though. You also want to make sure that it’s not so dry rotted that it won’t hold air. 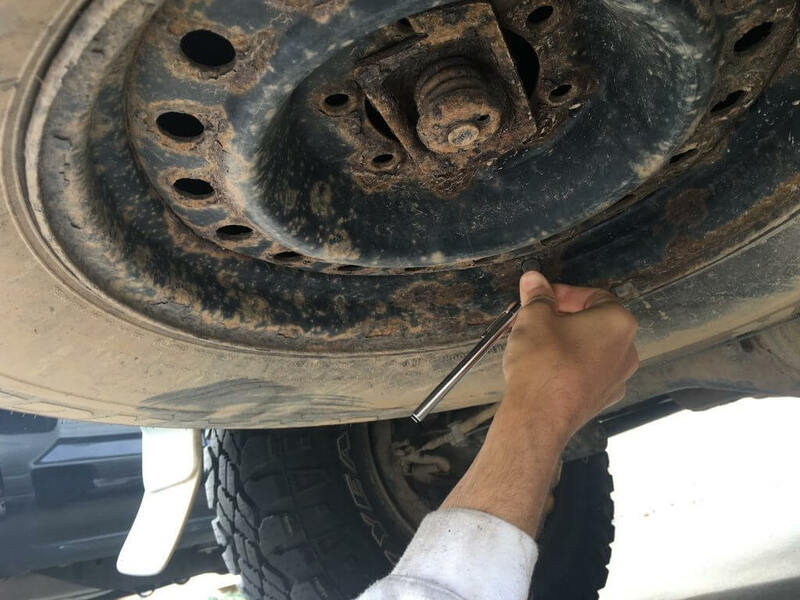 While we know that many of these points may seem like common sense, we have seen a tendency for people to overlook these more simple, better known safety concepts while offroading. Therefore, as a company that strives to provide and build products to keep you safe on the trails, we at WAM Bumpers thought that we’d help the experienced, as well as new offroaders with these few reminders. We all want to have fun on the trail. A safe day on the trails, is always a fun day on the trails. So, we hope these 5 points help you have a fun by being safe!